Heavy production of medicinal oils and bountiful harvests are only possible if the grower starts with strong and healthy plant clones. 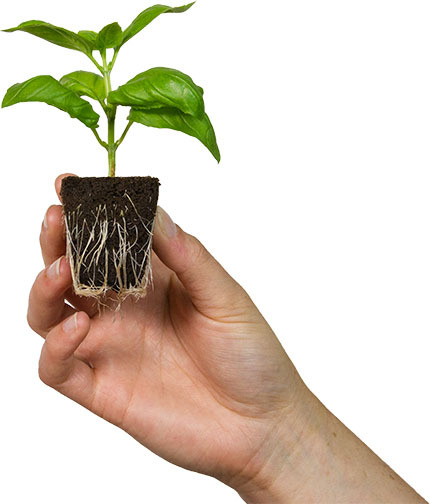 For plant cloning, first choose a healthy plant with strong growing tips. A few days before cuttings are taken spray the growing tips with Clonex Mist. To reduce the risk of contamination pour some Clonex Rooting Gel into a separate clean container, like a shot glass. Use a sharp, clean blade, such as a scalpel, to make a diagonal cut in the stem – just below a leaf node. Dip the cutting directly into the rooting gel. Use sharp scissors to trim off some of the larger leaves, leaving two or three on the cutting. Insert cuttings into Root Riot cubes – or media of your preference. Ensure media is moist before inserting cutting. When using rockwool, pre-soak the cubes in Europonic Rockwool Conditioning Solution. This will stabilize the cube’s pH and adjusts the rockwool for maximum nutrient uptake. Place the cuttings under a dome and spray the leaves with Clonex Mist. Continue to spray the cuttings with Clonex Mist every 2-3 days. Ensure the media remains moist throughout the propagation period for plant cloning. Continue to spray Clonex Mist until roots are well established. After plant cloning is complete and roots are established begin watering with Clonex Clone Solution. Looking for more information on plant cloning with Clonex? Download the Clonex Propagation Guide. It’s full of information on how to take a cutting, how and when to use Clonex products, plus it covers mother plants and transplanting.